Mr. James Paradine had invited ten family members to a New Year's dinner at his large and expensive home in Birleton. Mr. James Paradine was head of Paradine-Moffat Works, a company which was involved in producing materials for the war effort. At this dinner, James Paradine announced that one person at the table had betrayed the interests of the family. He said that he knew who that person was, and that he would be waiting in his study between nine and twelve that evening for that person to come and confess. The family members were shocked by this, but they would be even more shocked in the morning when the body of James Paradine was found at the foot of a cliff below the parapet of the terace which was outside the door of his study. The police, of course, were called even though the family members believed that death was an accident. Inspector Vyner believed that the police surgeon had found sufficient evidence on the body to declare that James Paradine had been pushed off of the parapet. Questioning of the family members about their activities of the previous evening was begun. James Paradine's son and principal heir Mark Paradine and young Lydia Pennington wanted the murderer found, and really did not feel that the police could do it. Lydia had heard of private detective, Miss Maud Silver, who had been successful in previous cases, so Mark hired Miss Silver to come to Birleton to find the murderer. There are ten possible murderers in this book. They are in some way or another related to each other, and they have histories of interactions with and emotional attachments to each other. And when it comes to their activities on the night of the murder, most of them would initially lie about what they were doing. 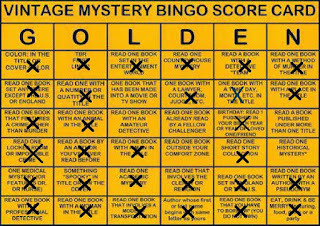 Miss Silver, an elderly spinster, has indeed a challenging case here, but she continues calmly with her knitting as she interviews each member of the family and slowly arrives at the important clues which will eventually identify the murderer. This book was written in 1944, and the seventh Maud Silver book. It is currently available as e-book. It is a classic country house mystery. It has a bit more romance than usual. I am however quite fond of Miss Silver and found it quite enjoyable. 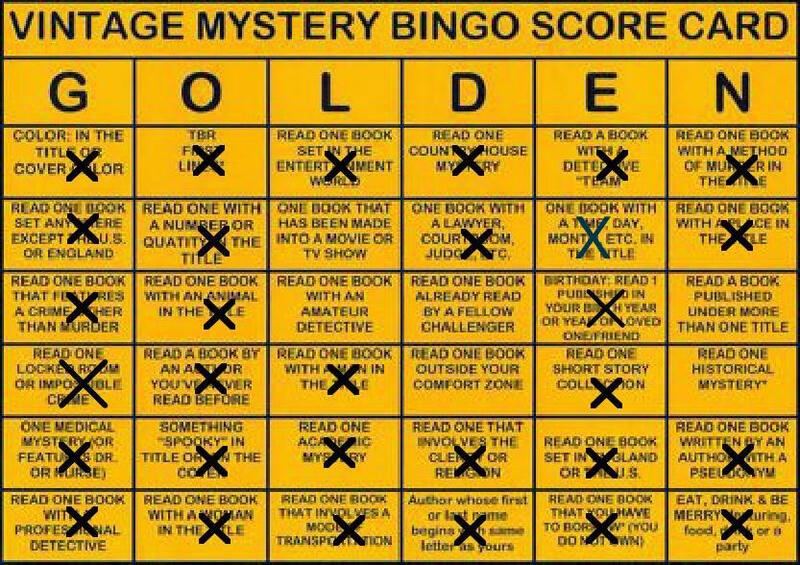 I have read this book for the 2015 Vintage Mystery Bingo Challenge in the category of a book with a time in the title.